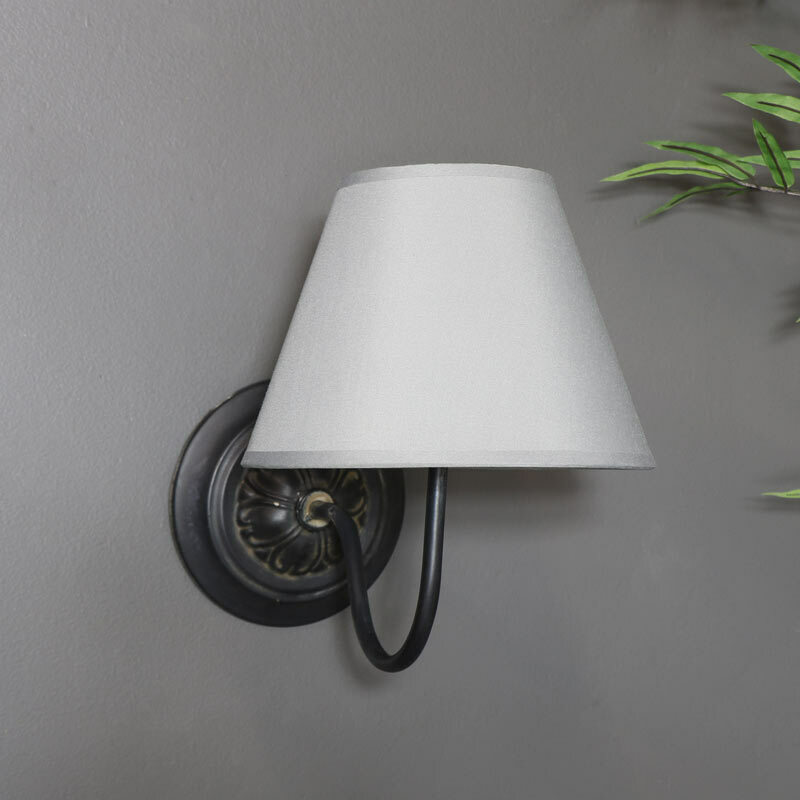 This wall light will add some soft lighting to your home decor. 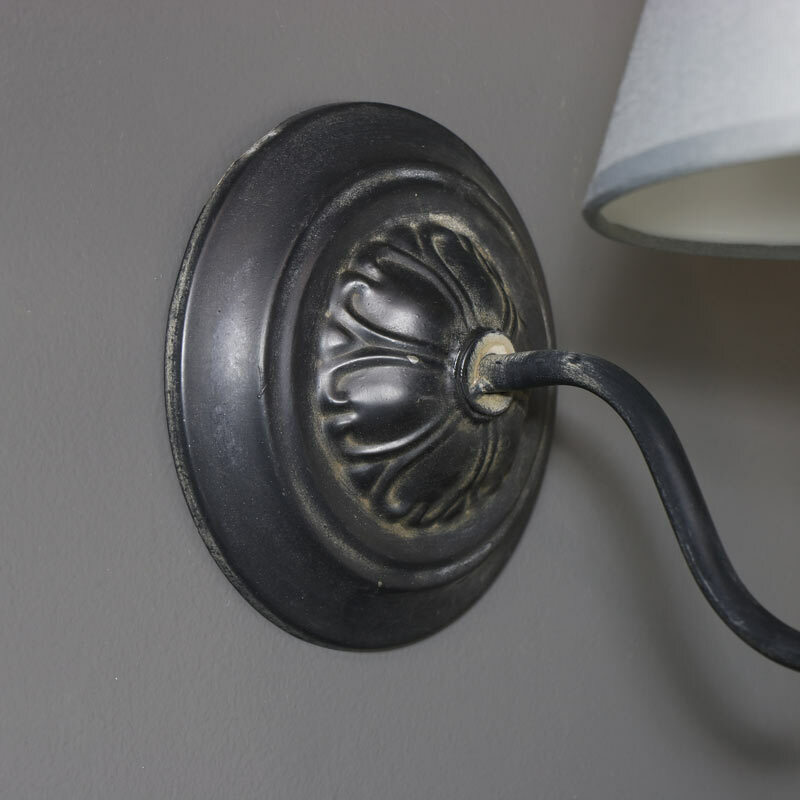 Vintage styling in black & grey sconce design for the rustic themed interior. We have a wide choice of wall light fixtures that can be used in singles or pairs. With a black metal arm and decorative face plate in a distressed effect with a grey tapered linen shade. Can be used in the living room, hallway or the bedroom for a charming look. Offering a rustic theme that will help to create a warming atmosphere or simply for that additional lighting.